Motorola Mobility has revealed to InfoWorld that it is working with the newly acquired start-up 3LM (Three Laws Mobility) to fill the security gaps in the Android platform and create a more secure smartphone OS. The BlackBerry has been the traditional smartphone of choice for executives, with the iPhone making slow inroads. However, the Android platform has never found love in the corporate world due mainly to its open and insecure nature, perceived or otherwise. There has not really been any effective application or tool that allows the device to be fully secured. According to InfoWorld, 3LM will create APIs for the Android platform that will "add missing security and management capabilities at the OS level, so that the entire device can be managed via policies by mobile device management tools". 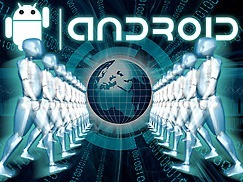 The Android platform already has some basic security features, including a built-in encryption function, however Motorola plans to include additional security enhancements including "malware protection, enterprise-level encryption, user administration for pre-defined Active Directory and LDAP groups, remote application installation, remote lock, remote wipe, and advanced password rules". Instead of keeping the security API's to itself, Motorola will run 3LM as an independent subsidiary, allowing the API's to be licensed to Motorola's hardware competitors, including Samsung, Sony Ericsson and HTC. The security suite should be available by July of this year.